Company security camera quotes for Swansea County businesses. Although alarm systems are excellent for enhancing security at business properties, rising crime levels and more brazen methods of theft and/or burglary have rendered these ineffective when used as standalone devices. As a result, more and more companies are beginning to learn just how effective CCTV installations in Gorseinon can be when it comes to keeping their employees and assets safe and secure. In years gone by, most companies didn’t bother installing any form of surveillance system because they did not deem it to be necessary. One of the main complaints about these systems a decade or so ago was the fact that they were not able to provide footage that was clear enough to make a positive identification in the event of a crime occurring. However, new technology has made it possible to not only make positive identifications - these camera devices can now zoom into areas in such a way that even the smallest details can be seen clearly. 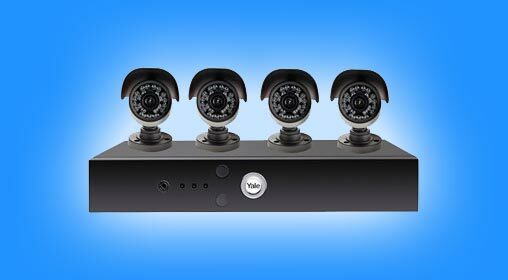 There are several advantages to installing a good quality surveillance and security system in the form of CCTV at any business premises. CCTV cameras act as an ideal deterrent against business burglaries because intruders are less likely to break and enter into a property where they their actions will be captured on camera and recorded. This is a crucial factor for businesses of all sizes these days, especially when extra care is taken to ensure that even the most out of the way blind spots have been covered by the installation. In cases where physical security employees are hired o guard or monitor a business premises, there is always the possibility that they may not arrive at work for their allocated shift – leaving your property a highly vulnerable target for burglary or vandalism. However, a CCTV system monitors your premises 24 hours a day seven days a week – and never requires a sick day. Each year, businesses lose several thousands of pounds due to theft by customers and employees. In some cases, the levels of theft can result in smaller businesses having to declare bankruptcy. Research has revealed that up to 33% of businesses that have declared bankruptcy have done so due to employee-related theft. Having CCTV systems installed at various strategic locations in and around your business premises can help monitor employee and customer movement. For example, having a camera installed by a pay point or cash register can enable a business owner to view each transaction that takes place. If employees know that their activities are being monitored, there is far less of a chance that they will steal. The same principle applies to members of the public. Ensuring that employees feel safe while at work is just as important as safeguarding other areas of your business. After all, employees can also be classified as assets that are just as valuable as anything else because they ensure the smooth operation of a company. Installing a CCTV video system and having it connected to a local security company will provide employees with peace of mind in knowing that assistance will arrive in the event of a crime taking place. Various forms of harassment are a serious threat in many places of employment and just because law prohibits it, it does not mean that it won’t occur. 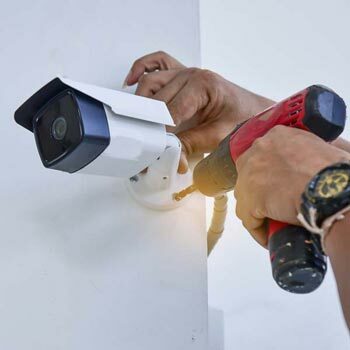 Having a CCTV system installed that is connected to a DVR will enable all employee and client activity to be recorded, meaning that if any potential harassment issues arise, evidence can be provided either way. Camera resolution can help police make a positive identification. You should aim for 1080p which is full-HD resolution and provides you with a clear picture, but will need additional storage space. Video surveillance can work with an alarm system with movement triggering both recording and a siren/alarm. Depending on your individual business needs there is a solution that will provide complete protection. A good quality lens, and a wide dynamic range (WDR) can ensure you get a clear image in varying light conditions which can be crucial for a variety of business setups where not all areas will be evenly lit. If you're recording 24 hours a day then a camera that can support both day and night recording (particularly outdoors) is vital. This is typically achieved with infrared lighting which can work at a variety of ranges. Though many business security systems are designed to record constantly 24hrs a day, you may wish to add motion-detection cameras in certain areas, or to be alerted instantly when any movement is detected. Want to check on your business from you smartphone or tablet? Or receive notifications if your cameras sense movement? Remote access lets you keep an eye on you property from anywhere in the world. There are a number of professional grade security solutions available for business owners no matter the industry, form network video cameras to complete security alarm monitoring with ongoing monitoring contracts. Here are few of the more popular solutions on the market for anyone looking to secure their business. As always, it's best to chat to a professional to determine the best solution for you, and remember that a DIY installation may not offer the protection level you require. 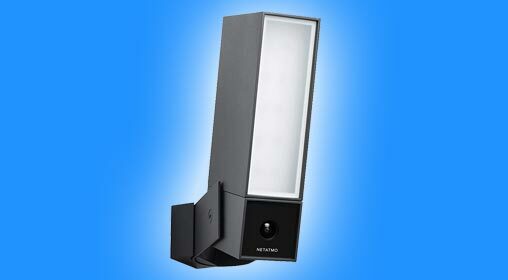 Described as a Smart Outdoor Security Camera with integrated floodlight and smart alerts the Netatmo Presence combines a smart floodlight which can tell the difference between people and traffic, easy installation and custom alerts delivered to your smart device. Combining 4K Ultra HD video resolution, heat sensing PIR detection, recording for up to 90 days uninterrupted and multiple wired cameras the Swann range is a popular choice for those looking for complete coverage in the best possible video resolution. Synonymous with security, the Yale HD system enables you to control the feed via your smartphone (complete with remote viewing), connects with other yale smart products including the Smart Door Lock, has enhanced night vision and motion detection. 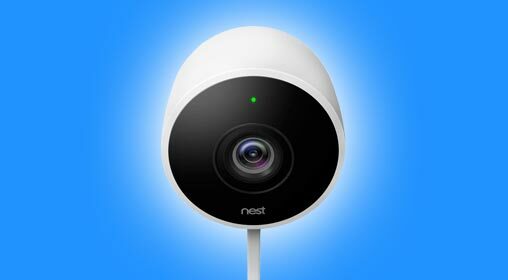 The latest of the Nest cam range is now weatherproof and offers a number of features to those looking for a simple install. It integrates with other IFTTT products, has a user-friendly app, good quality footage and stores footage in the cloud for up to 30 days. When business managers or owners are searching for a "CCTV installer in Gorseinon near me", they often think that all companies will provide the same quality of products and service. This often results in them trying to shop around for the cheapest prices possible. In many cases, they also don’t understand why a company will not be able to supply them with a price over the phone for a system. Before an accredited CCTV technician will be able to provide an estimate of the cost of a system, he or she will need to assess indoor and outdoor areas of the property thoroughly. This will enable them to determine what will be needed and client requirements are. For instance, will night vision or infrared cameras be needed? Will cameras need to be focused where they can obtain a view of members of the public or people outside the building, or will they only be required to monitor employee activities? The size of the business premises will also determine the length of time that will be required to install a CCTV system. The larger the premises and the more cameras that are needed, the longer the installation will take – thus having a direct impact on installation costs. If additional power points or cables are required for wired cameras, DVR units or monitors, this will also result in an increase in the installation cost. Another factor that will affect the cost of Swansea County business CCTV is whether a standard wired or wireless system will be installed. Business managers and owners often think that having a wireless system installed will be cheaper. This may be true in that little to no cables will be required, thus lowering labour costs. In most cases, the only cable required for a wireless setup will be between the DVR and monitor or screen being used to view activity. However, the components needed to install a wireless network normally come with a high price tag compared to their wired counterparts. 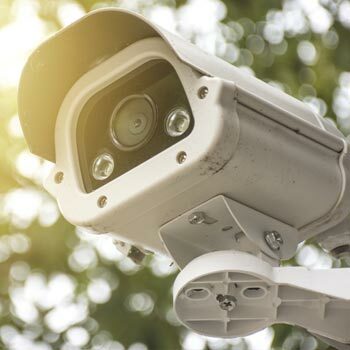 If you are keen to learn more about how CCTV systems work and how they will benefit your business, we have several pre-screened and experienced installers on hand who will be able to provide you with the information you need. They will also be able to assess your property and provide you with recommendations on suitable surveillance systems. 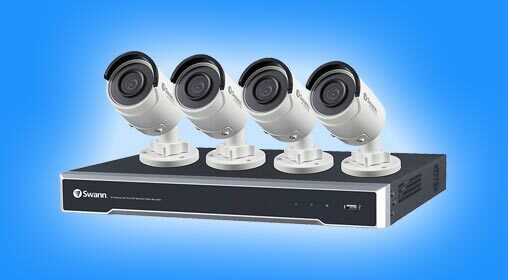 Getting in touch with our accredited commercial CCTV installation in Gorseinon experts is as quick and easy as completing our online quote form. Simply provide us with your basic contact information and up to four accredited installers will make contact with you within a day or so at the most.